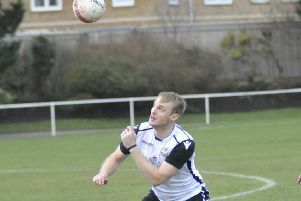 Bexhill United Football Club’s scheduled first home game of the season will take place at its opponents’ ground tonight (Wednesday). The Pirates were due to entertain Southwick in Southern Combination League Division One, but there’s been a delay in putting up the floodlights at The Polegrove so the match will instead take place at Southwick with a 7.45pm kick-off. Bexhill are currently in sixth place after Saturday’s crushing 8-1 win away to Worthing United, but will move into the top four if they beat third-bottom Southwick. “Saturday was great, but we need to back it up with a midweek win against a team in the bottom half,” added Light. Bexhill’s first home match of the 2018/19 campaign will now be against Selsey this coming Saturday. Southern Combination League Division One top half standings (played 7 matches unless stated): 1 AFC Varndeanians 19pts (+15 goal difference), 2 Steyning Town 18 (+10), 3 Alfold 16 (+13), 4 Hailsham Town 15 (+15), 5 Wick 15 (+3), 6 BEXHILL UNITED (6) 12 (+18), 7 Littlehampton Town 12 (-1), 8 Selsey 11 (0), 9 Seaford Town 11 (-3).